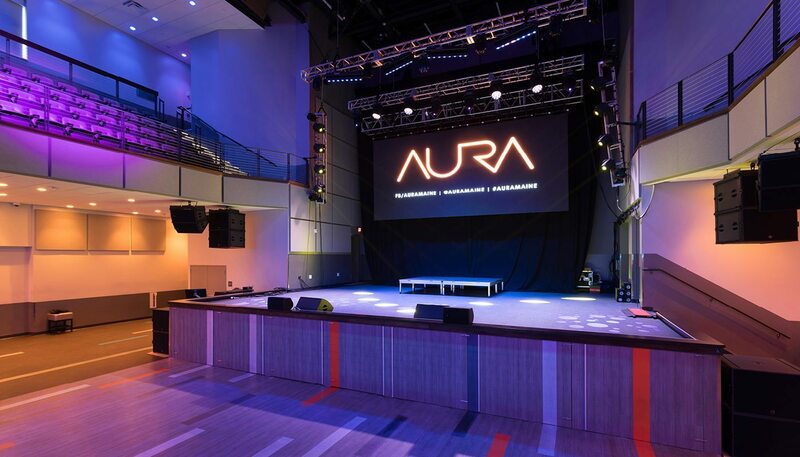 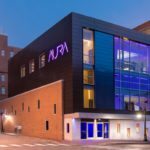 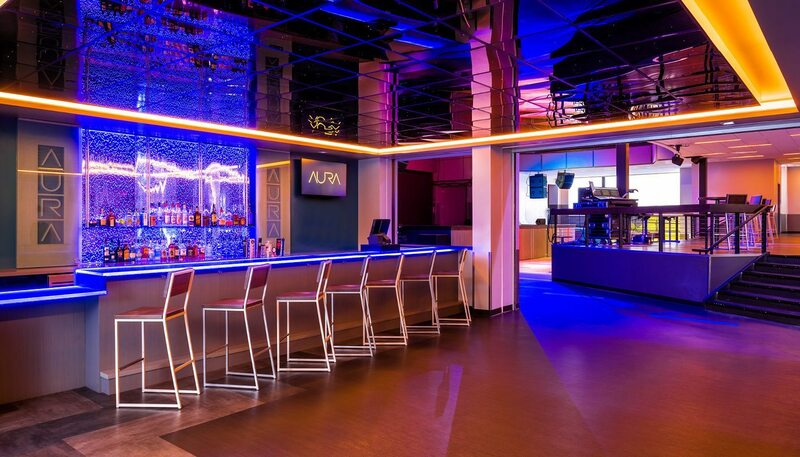 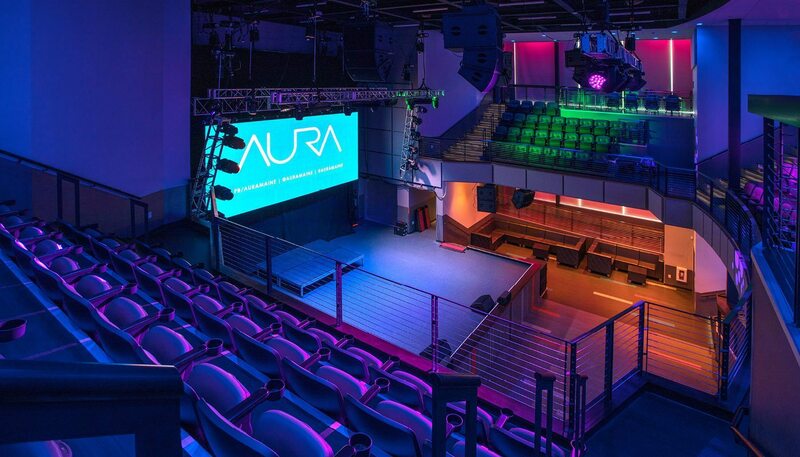 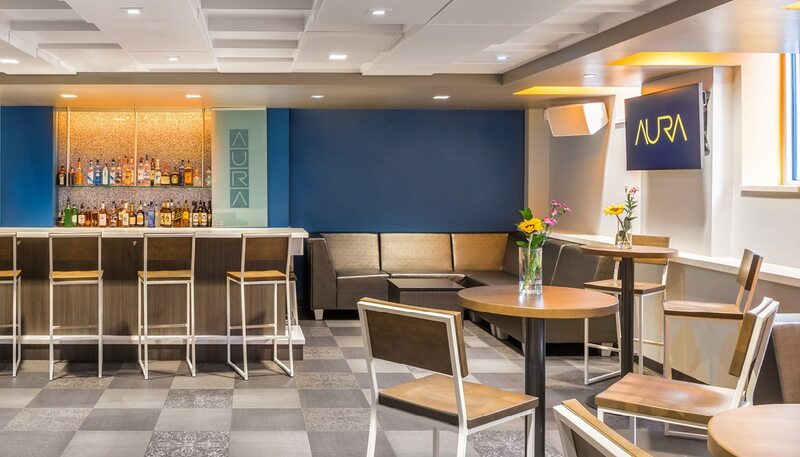 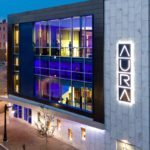 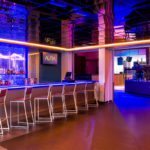 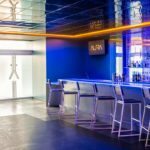 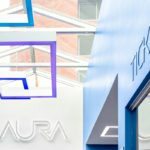 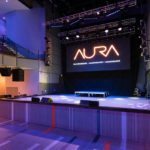 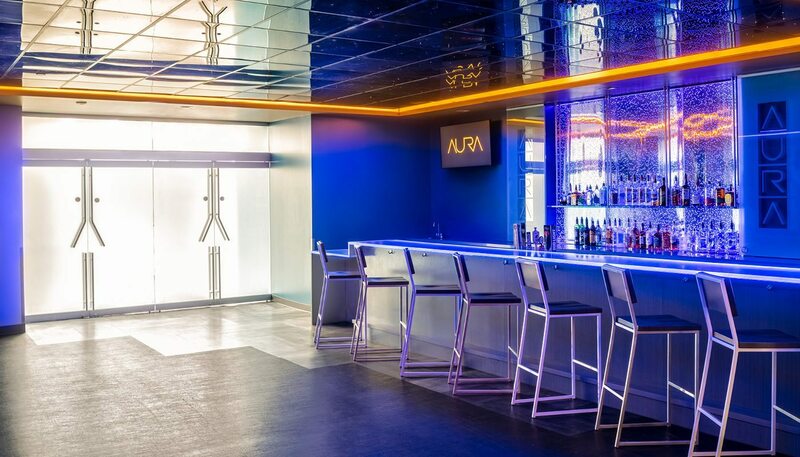 Aura, an expanded and rebranded live music and restaurant facility in downtown Portland, has opened to rave reviews. 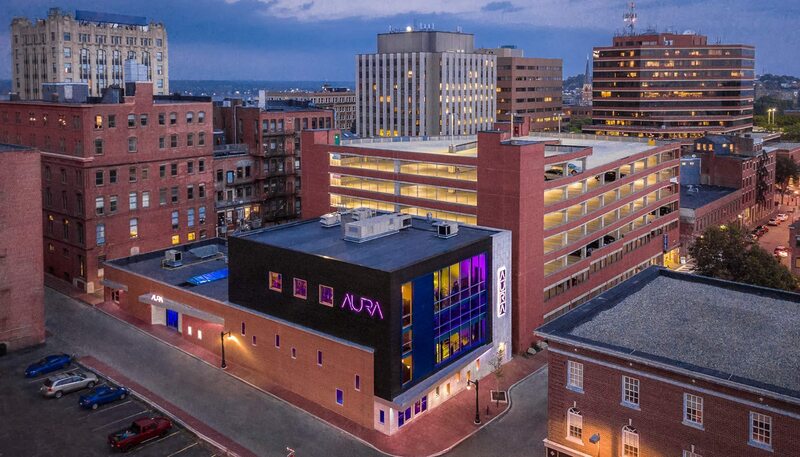 The facility is on a tight site footprint in the Historic District, the construction was completed while the facility, formerly known as Asylum, remained partially operational. 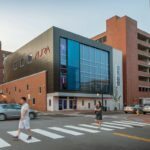 The existing 1960s building footprint was expanded horizontally and vertically resulting in a total area of 24,500 SF, and doubling the concert occupancy to 1,000. 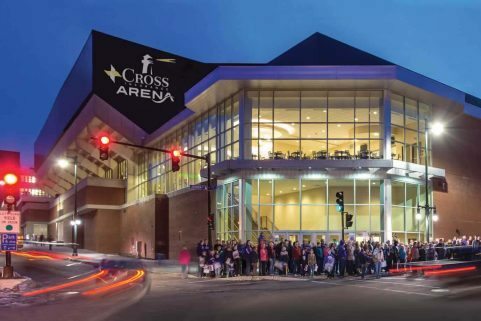 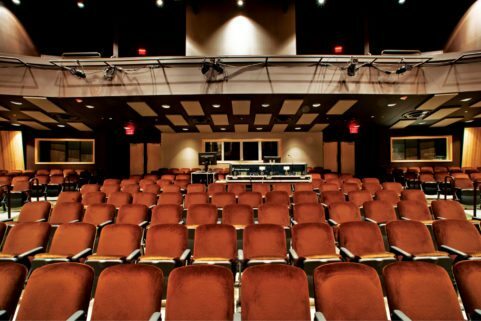 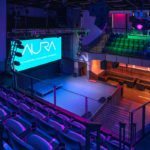 The expansion and renovation has increased capacity, improved stage sightlines, and upgraded accessibility and safety. 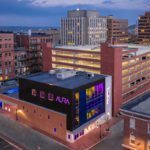 The design includes a new accessible entry and elevator which services the basement, event spaces, stage, and new balcony level. 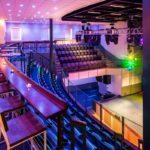 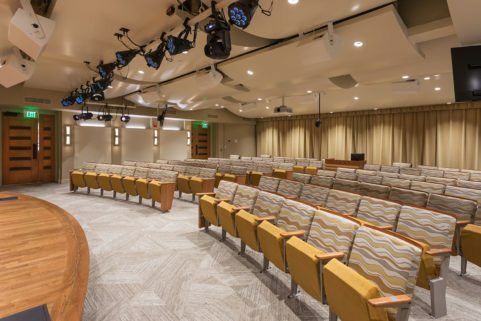 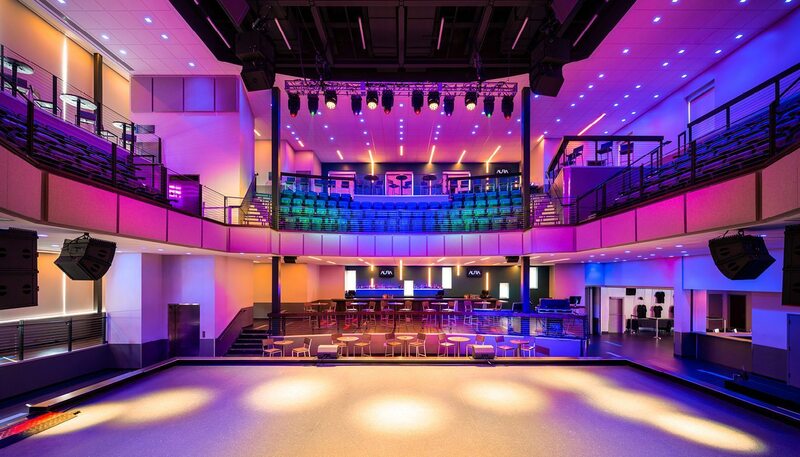 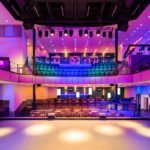 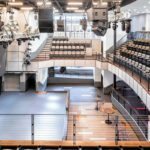 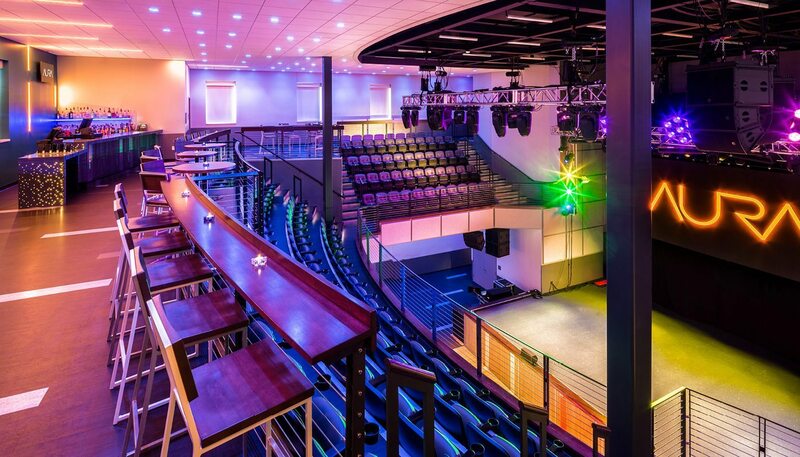 The new first floor program is an expansion of the existing event venue, with a new performance stage, a separate pre-function/flex space, restroom upgrades, and an addition/upgrade to the kitchen. 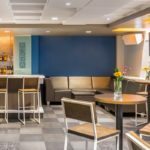 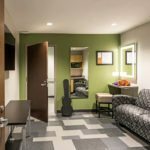 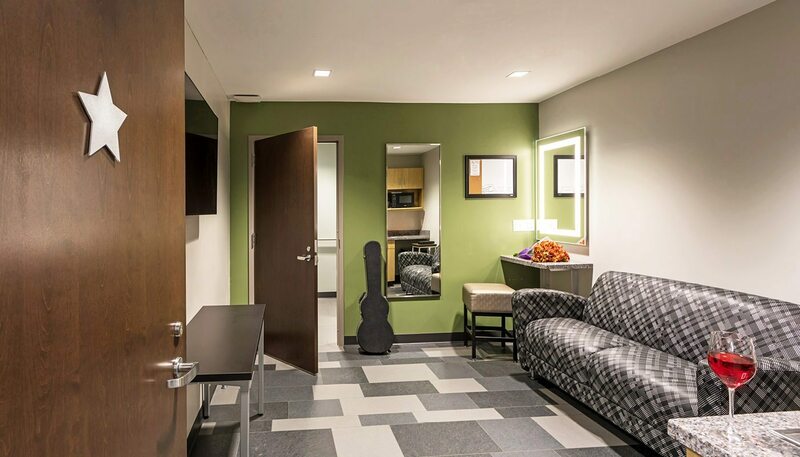 The basement level addition/renovation includes a major upgrade to the club and restrooms, a new accessible entry, new Green Rooms for touring acts, and a new pre-function space. 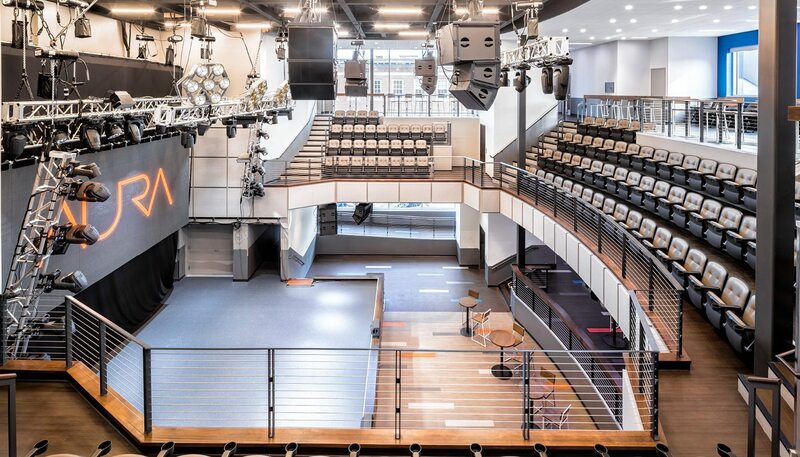 The new balcony level includes both fixed seats and standing room areas. 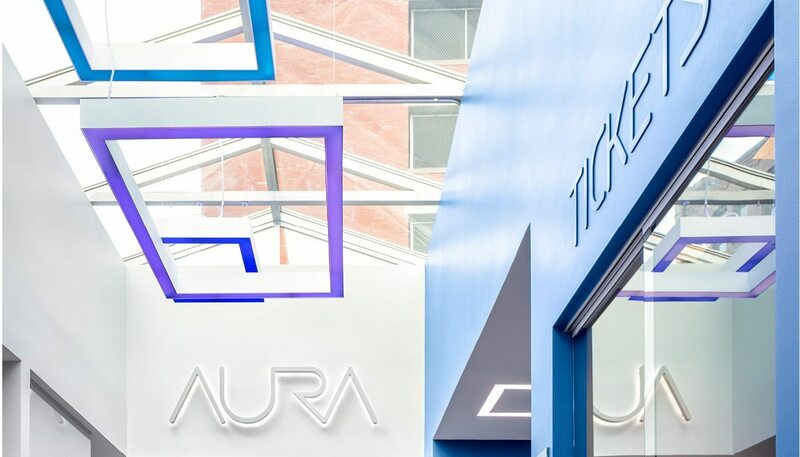 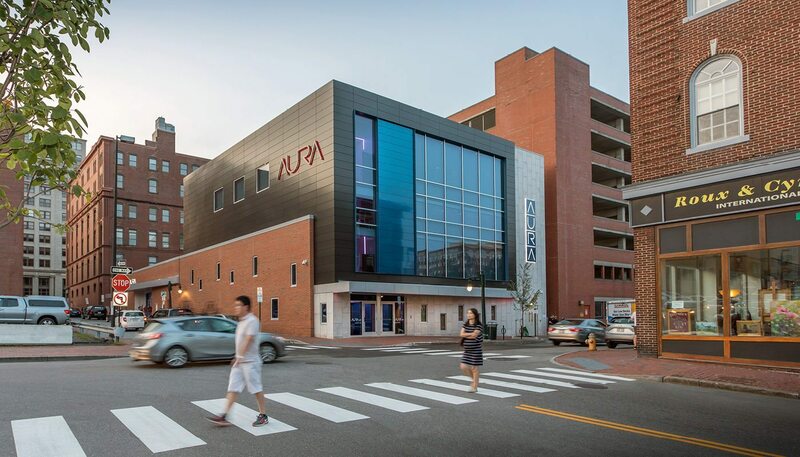 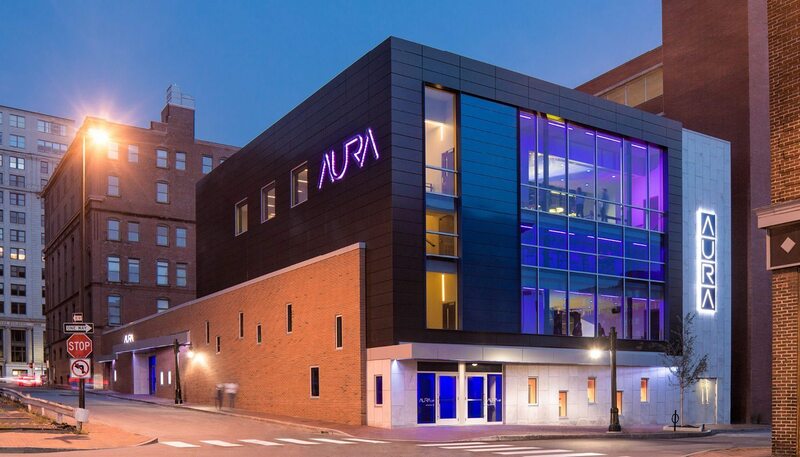 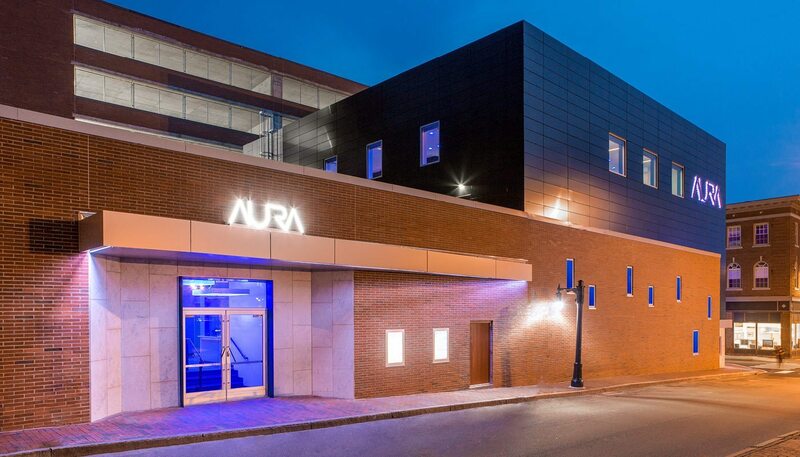 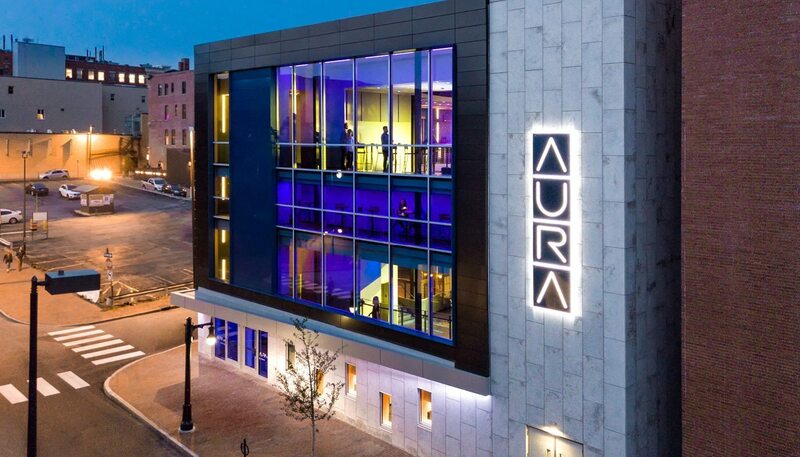 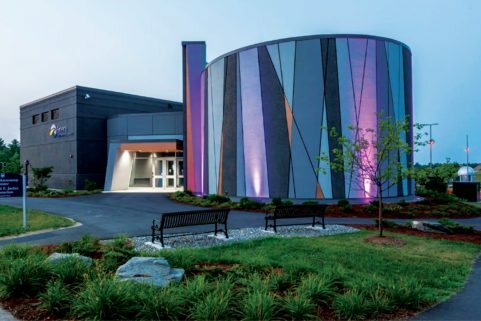 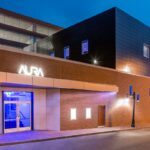 Aura’s exterior design approach grounds the building in strong existing masonry site elements, and contrasts it with modern aperture highlighting the event space.